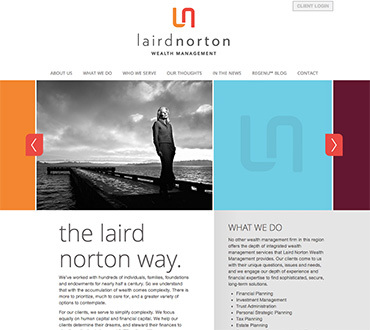 Laird Norton Wealth Management - IvyCat, Inc.
Ready to Spruce up Your Site? Contact us with your site needs and concerns and we'll work with you to find the best solution for you. Contact us now - we're delighted to help.